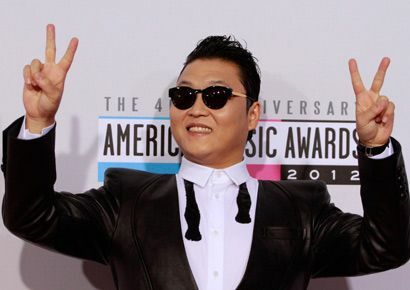 The Gangnam Style music clip produced by South Korean rap sensation Psy has topped YouTube's all-time list of most-viewed videos, YouTube said on its website. The has become the most watched item ever posted on YouTube with 806.28 million hits late Saturday, jumping ahead of Canadian teen star Justin Bieber's Baby, which held the previous record with 803.65 million views after its release in 2010. Gangnam Style was first posted to YouTube in July, and quickly became a massive hit at a global level.